$175. 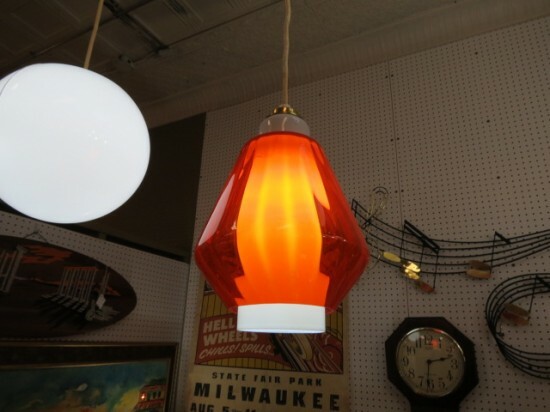 Vintage mid century modern orange glass pendant light, c. 1960. White glass cylinder with orange glass surround. 1 light. Perfect for your entry, kitchen, bathroom. Excellent condition. 8in wide, 13in tall.